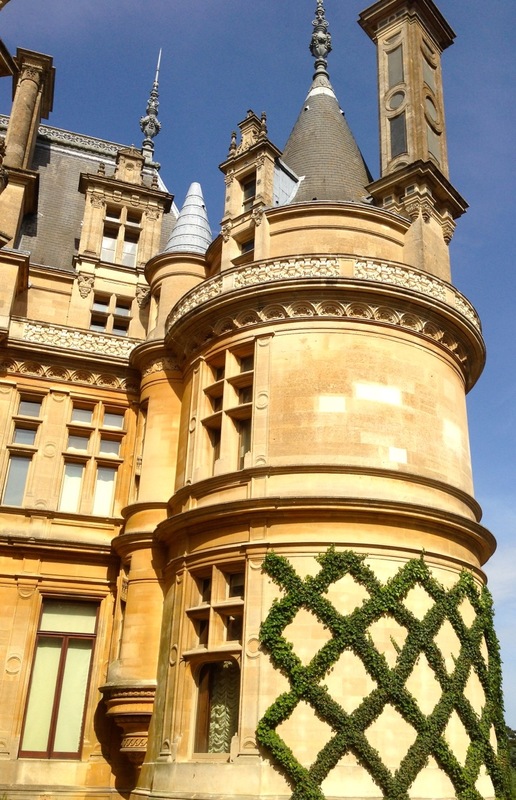 The other day we went to Waddesdon Manor. One-time home of Baron Ferdinand de Rothschild, now a National Trust property. Designed by the Baron to emulate a French Renaissance Château, the architecture is truly magnificent and, at the same time, wildly excessive. Personally, I love it. There are many excellent photographs of the house, I couldn’t get one without the tour coaches or people in it so if you want to get the full picture, well there’s always Google or the NT site here. Oh, and one thing I noticed as we walked round the house: the place was chock-full of old people. Give it a few years – could that be me?